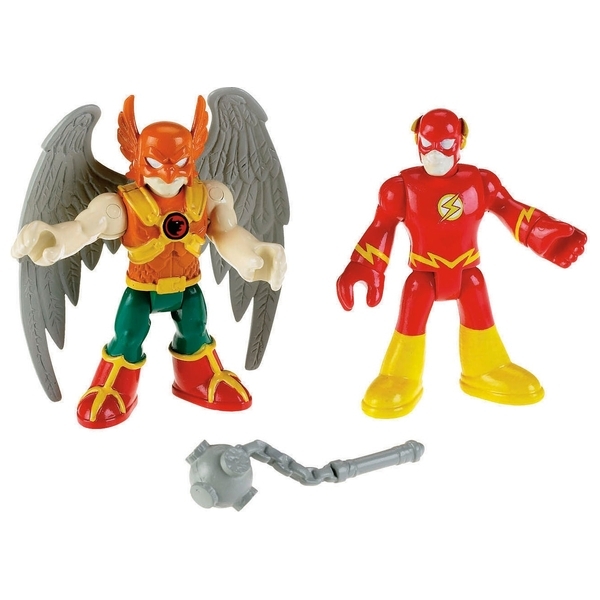 Fisher-Price Imaginext DC Super Friends Flash And Hawkman have amazing powers! The Flash can run faster than the speed of light! Hawkman has a golden harness with wings, so he can fly! Together they’re unstoppable! Learn about the benefits of teamwork and cooperation when they team up to create new adventures and save the day!